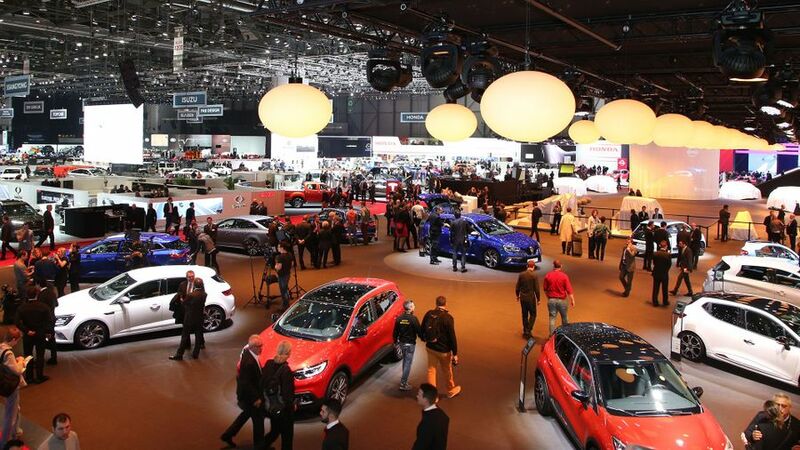 At this time of the year, the Motoring World descends on Switzerland for the Geneva Motor Show. It’s the first major show of the year, and pretty much every car maker you’ve ever heard of – and a few you haven’t – will be in attendance. Within the halls will be cars of every size and shape, and we’ll have the first chance to see plenty of brand new models that will be tempting buyers into showrooms this year. Our team is over at the show, and bringing you news, photos and films from Geneva, but these are their favourite new cars that have been launched there. And, if you like this, you can see more on our Twitter feed, Instagram account and Facebook page. 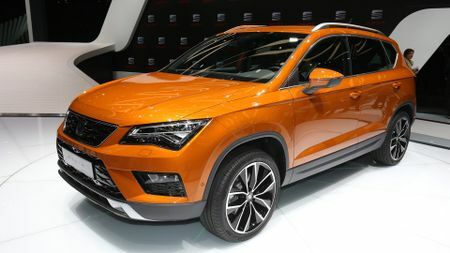 Seat’s first SUV will arrive in September, giving the company a rival for the Nissan Qashqai and Hyundai Tucson. Its looks clearly echo the Leon, while the cabin – which the company says is one of the most spacious in the class – is packed with the most up-to-date technology available from within the Volkswagen Group, as well as Apple CarPlay and Android Auto. 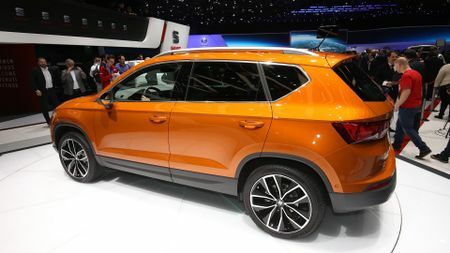 The engine range will include both petrol and diesel units, and as well as a choice of three trim levels, buyers will be able to choose between front- or four-wheel drive, and manual or dual-clutch semi-automatic transmissions. 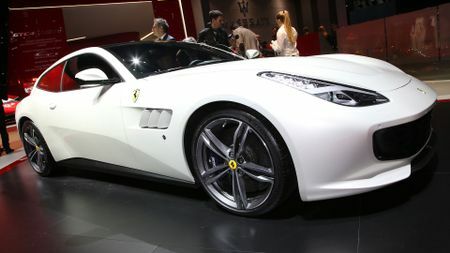 Prices are yet to be confirmed, but we expect the range to run from about £19,000. 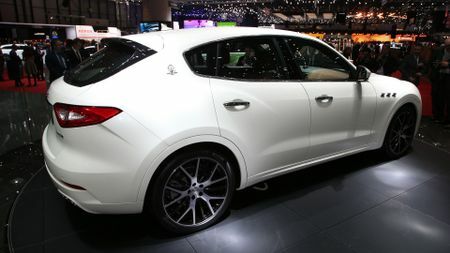 Due to go on sale this spring, the Levante is Maserati’s first SUV and it will give the company a rival for cars such as the Porsche Cayenne and Jaguar F-Pace. 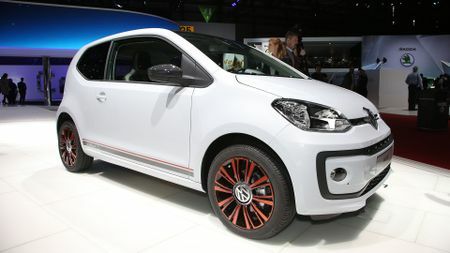 It clearly has a sporty look that reflects the company’s other models – the nose is dominated by the large grille and, along the sides, the company’s trademark air vents are clearly visible. 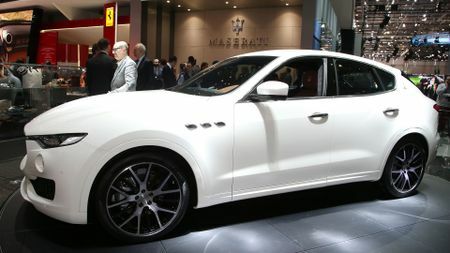 As yet, technical details are pretty thin on the ground, but Maserati has confirmed that the Levante will come with petrol and diesel engines, all of which will be mated to an eight-speed automatic transmission; and, every version will come with four-wheel drive and an adjustable electronic suspension system. 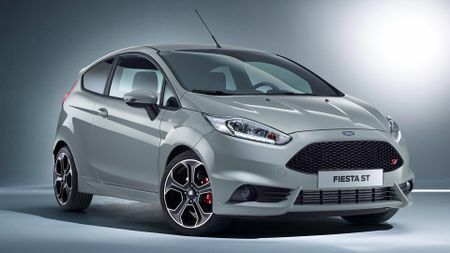 As the name implies, the Ford Fiesta ST200 is a more powerful version of the current ST, with 200PS (or 197bhp). 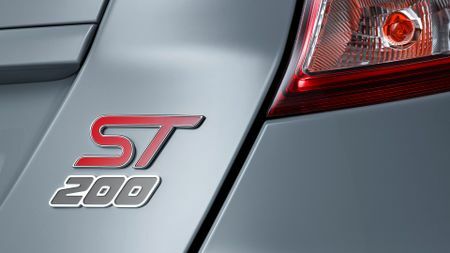 That’s a 10% increase over the current Fiesta ST, which is one of our favourite hot hatches, and gives the car performance on par with rivals such as the Renaultsport Clio 200 and Peugeot 208 GTi: 0-62mph in 6.7sec, two-tenths quicker than a regular ST.
At the same time, there are few visual amends, too, including bespoke Storm Grey paint, 17-inch matt black alloy wheels, red calipers, part-leather charcoal Recaro sports seats with silver stitching, silver seatbelts and illuminated tread plates. Expect the first customer to receive their cars this summer. 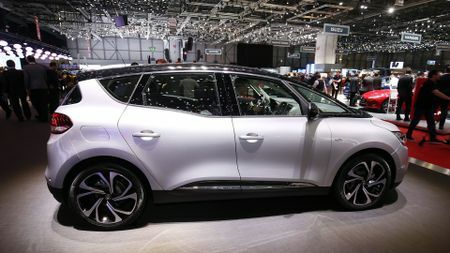 The fourth generation of the company’s MPV comes 20 years after the launch of the original, and Renault says it has consciously chosen to take the styling of this new model in a different direction. As a result, the car now has more ground clearance and a more rugged body, giving it an SUV-like look with some echoes of the smaller Captur. 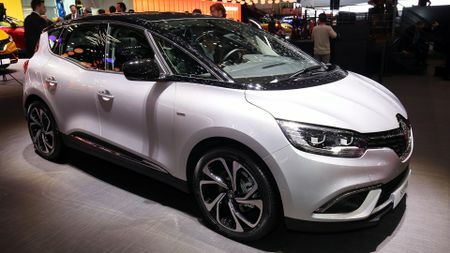 The C-shaped lighting signature in the headlight units is very similar to that on the new Megane Sport Tourer, which was also unveiled in Geneva. It appeared in sporty GT trim, so the show car had a honeycomb mesh grille, two scoops flanking the air inlet, and chromed exhaust pipe. It also included the 4Control technology that has been developed with Renaultsport. This four-wheel drive system incorporates rear-wheel steering, and the company claims it will allow the car to combine low-speed manoeuvrability with more dynamic handling at higher speeds. Despite the new name, the GTC4Lusso is basically a revised version of the FF. Externally, the changes are pretty minor – a new grille, revised air vents and a rear spoiler – but there are more major revisions inside, such as a new 10.25-inch touch-screen. 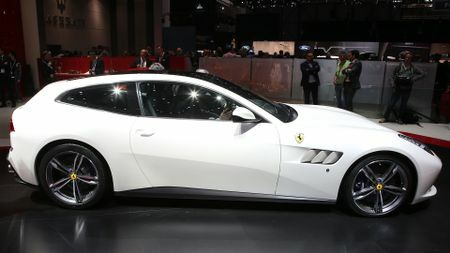 At the same time, the 6.2-litre V12 has also been upgraded to 680bhp, allowing the GTC4Lusso to sprint from 0-62mph in just 3.4 seconds (0.3 secs faster than the FF) and go on to a maximum speed of 208mph. Like the FF, the GTC4Lusso has four-wheel drive, but what’s new is that it is combined with rear-wheel steering. 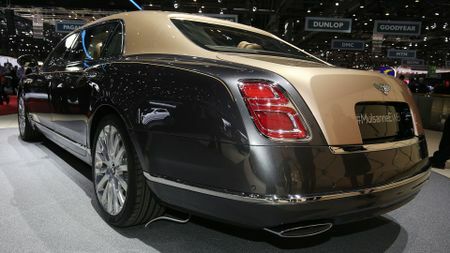 From a series of revisions to the Mulsanne, the most major is the addition of a new Extended Wheelbase model. 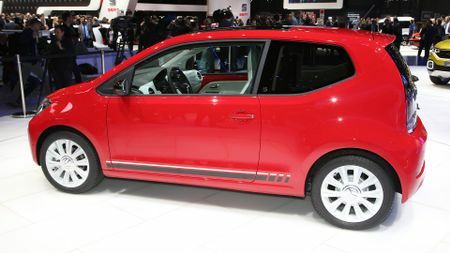 This has an extra 250mm of rear legroom, as well as aircraft-style extending legrests and a sunroof over the rear compartment. Meanwhile, the entire range receives a wider grille, which is flanked by all-new LED headlamps, with the outer lights raised so that their bases now sit in line with the main units. 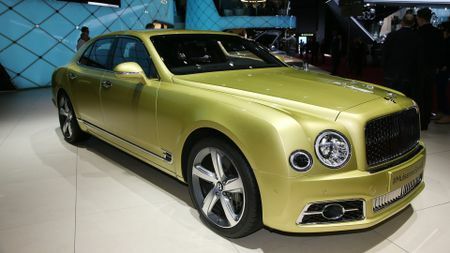 Inside, the door trims and armrests are also new, and to further improve the comfort of those on board, Bentley has also worked on the suspension and tyres, but what hasn’t changed is that the car is still hand-built in Crewe – a process that takes 400 hours. The revised up will feature more equipment and a new engine, as well as new styling inside and out, and far more scope for individualisation. In all, seven trim levels will be available, and range-topping Up beats models will include a 300W stereo from American specialists Beats Audio. Also new to the range is an 89bhp three-cylinder 1.0-litre turbocharged petrol engine. It’s the most powerful engine ever seen in an Up, and is enough to cover the 0-62mph sprint in 10 seconds, as well as averaging more than 64mpg and emitting just 102g/km of CO2. The new car will go on sale in the late summer; and despite the extra equipment, prices should start at about the same as now, around £10,000. 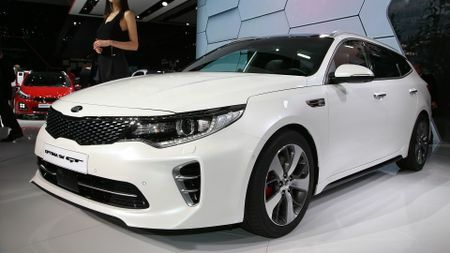 Kia launched its first large estate car at Geneva, and the Optima Sportswagon will go on sale in the final quarter of this year, with the range expected to start at about £23,000. 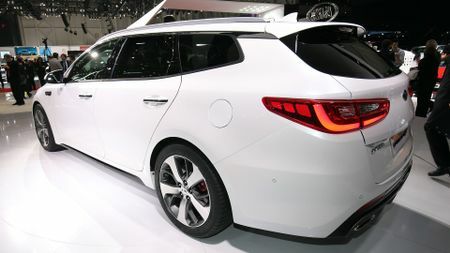 Unsurprisingly, its styling is very similar to the saloon’s at the front end, but officially Kia refer to the Sportswgaon as a ‘tourer’ rather than an estate, emphasising its swept-back rear end and tapering roofline, saying it gives the car a more sporting look. Even so, Kia claims that this will be one of the most practical cars in its class, with 40/20/40 split/folding rear seats as standard. On top of that, also available will be a safety barrier net built in to the back of the rear seats and pop-up sliding luggage rails to secure individual items which are likely to slide or roll around the boot. Aston itself calls the new DB11 ‘the most significant new Aston Martin’ since the DB9. 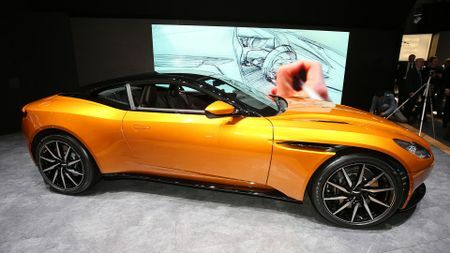 It’s a sporting GT in typical Aston tradition, but it also introduces plenty of brand new features, such as a new Aston Martin look, pioneering aerodynamics and a brand new engine. 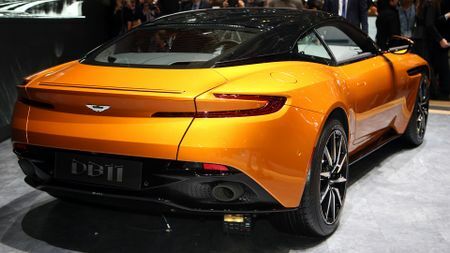 The 5.2-litre V12 is the most powerful DB engine ever and makes the DB11 the fastest DB ever, with a 0-62mph time of 3.9 seconds; and, the automatic transmission – along with the engine and suspension – can be adjusted through the three driving modes. Inside, the DB11 features the latest technology – thanks to Aston’s partnership with Mercedes – and Aston says the 2+2 car has enough room for passengers (front and rear) and luggage to make it a genuine Grand Tourer. Should you have a spare £154,900, the DB11 is available to order now, and first deliveries are expected in the final quarter of this year. The fourth – and smallest – member of Audi’s Q family will sit alongside the existing Q3, Q5 and Q7, and the first customers will be taking delivery in November. 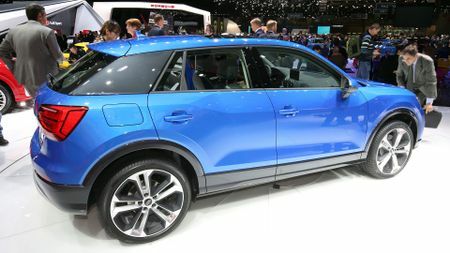 At 4.19 metres long and 1.51 high, the Q2 is similar in size to the Nissan Juke, and as it’s aimed at a younger group of buyers than other Audis, it looks very different to the German company’s current product line-up, as well as providing plenty of scope for personalisation. 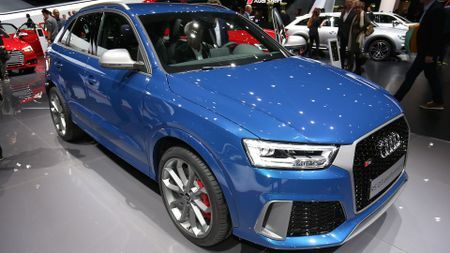 In the UK, there will be a choice of five engines; and, while most versions will be front-wheel drive, Quattro four-wheel drive is available with the most powerful diesel engine. Order books will open in July, with first deliveries expected in November; and, while there’s no word yet on how much the Q2 will cost, we would expect the range will start from at least £20,000. 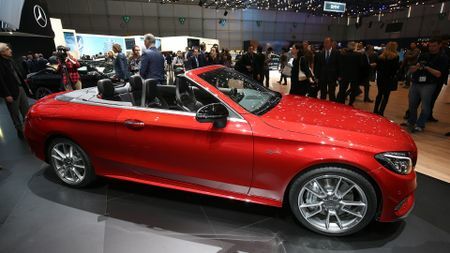 The latest addition to Merc’s C-Class line-up, the Cabriolet will go on sale this summer and be the cheapest open-top model the company sells. Its fabric top that can be opened or closed in less than 20 seconds at speeds of up to 30mph. 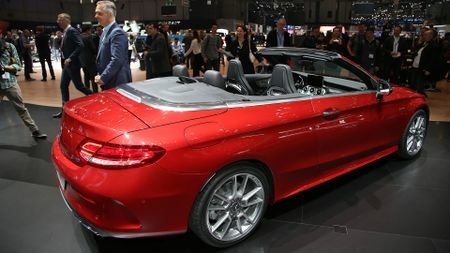 Thanks to its sports suspension, the Cabriolet sits a little lower than the saloon, giving it a more sporty appearance and – says Mercedes – a more sporty drive. The sports seats can be specified with the option of heat-reflecting leather upholstery and the ‘Airscarf’ neck-level heating system, while the climate control system operates differently depending on whether the roof is up or down. There’s no word yet on how much the car will cost, but we expect it to be about £2000 more than the equivalent Coupe, which costs from £30,995.